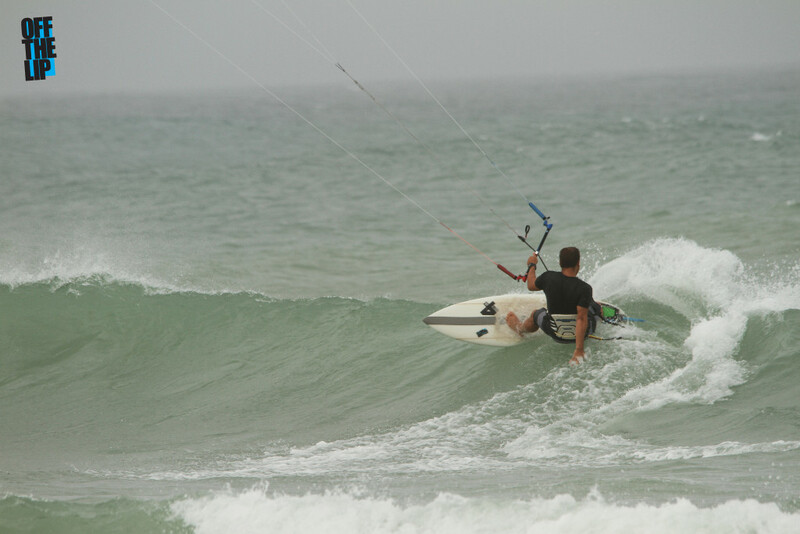 Off The Lip kite surfboards are a child of our love for kiteboarding and thirst for innovation in our sport. We have been working with 4th Surfboards since 2009 and have been developing surfboards that have enough flexibility to absorb choppy kiteboarding conditions yet have adequate strength to hold the abuse and surf requirements of kiteboarding in waves. This latest model is super easy to surf and fun strapless board that works in all conditions. 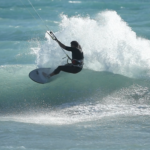 It is a board for total free-kitesurfing expression. Whether you want to practice your airs, throw some rotation in the mix or whack the fins out, this is the ultimate tool for pure fun and stoke. They are addictive little things! Order 4-5 inches shorter than your standard shortboard. OTL comes with gnarly grap channels on the deck and bottom for support in the airs! These boards are the outcome of our collaboration with Fourth Surfboards and our thirst to create the ultimate strapless kite surfboard, with flex patterns of a high performance surfboard that will soak in choppy waves and give the feeling of surfing while riding with a kite. These boards are bullet proof as well, with s-glass and double vector carbon wrap glass jobs. 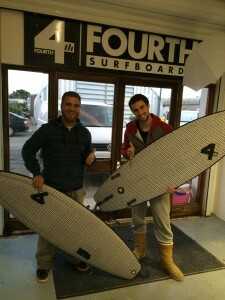 These boards come with FCS2 fins.